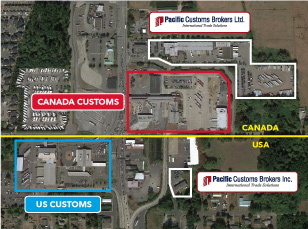 Company Profile | Pacific Customs Brokers Inc.
Pacific Customs Brokers is your PREMIUM service provider for U.S. and Canadian Customs Brokerage Services. We can obtain clearances at any Customs commercial port of entry: AIR-OCEAN-GROUND anywhere in the United States and Canada. Our company has 50 years of industry experience directed to both one-time noncommercial goods importer and to the high volume commercial goods importer. ALWAYS OPEN 24 hours, 7 days per week, at Pacific Customs Brokers, our top priority is providing PREMIUM client service and communication by swiftly responding to all shipment requests. While many of our competitors opted to have automated phone service, we implemented an in-house 24/7 LIVE Reception Team and made the decision NOT to have voicemail or automated phone attendants. It is our belief that personal contact and common sense cannot be replaced by telephone technology. Pacific's highly trained Reception Team will promptly answer and direct all calls, urgent or non-urgent, to the appropriate operations department. You can be assured your call is important to us and will be answered. 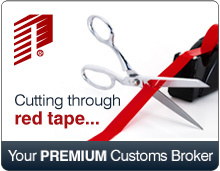 While it is true, we cut through red tape in the customs brokerage industry, we offer a variety of professional services which afford our clients seamless and one-stop international trade solutions.